I’ve been on a health kick lately. I’ve been researching tons of herbs and natural remedies to give me better health. I came across the root, ginger, and I was surprised at just how powerful it can be at healing your body. Ginger contains antioxidants, healthy fatty acids, and essential amino acids. It is a natural, healing herb that is often used in folk medicine. In Asia, many people use ginger as part of their traditional medicine and have been receiving numerous health benefits from ginger for thousands of years. Research shows ginger can have some of the same effects as chemotherapy. It provides radioactive protection to healthy tissue without creating toxicity. Ginger contain Glutathiones which are powerful antioxidants that fights free radicals and dramatically slow tumor growth. Studies have shown the compounds of gingerols, shogaol, and paradols, which are found in ginger, causes cancerous cells to destroy themselves while leaving healthy cells untouched. 1. This root has a soothing effect that helps patients who are suffering from the flu or cold. High levels of prostaglandins induce fever, camps and headaches but ginger acts as a barrier against it. It also has calming properties that soothe the severity of these symptoms. 2. Ginger is an anti-inflammatory therefore it helps decrease risks of diabetics, heart disease, Alzheimer’s, and cancer since chronic inflammation is believed to be one cause of those diseases. 3. The root contains antibacterial, anti-fungal and antiviral properties which builds immunity and protects against infections. 4. It decreases muscle pain and menstrual cramps. 5. Ginger promotes great digestive health and gets rid of gas in your stomach by flushing out your system and getting rid of toxins in your body. 6. It keeps blood sugar low and cholesterol levels in check. 7. One of the best ways to consume ginger is in tea. 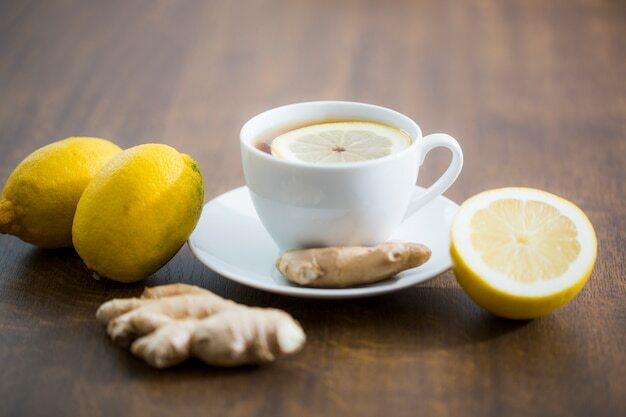 Hot ginger tea will soothe your stomach and quickly flush toxins from your body. In a sauce pan, bring the water to a boil. Grate the ginger, add it to the pan and turn off the heat. Cover and let steep for 10 minutes. Drain the ginger and add lemon and honey if desired. For additional taste and benefits you can experiment with adding mint leaves, cinnamon, chamomille flowers, cayenne pepper, and echinacea tincture. So many health benefits that we cannot deny. 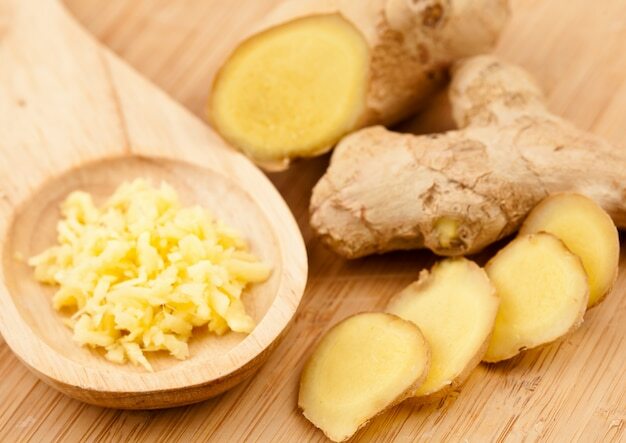 The versatility of ginger has proven to help with nausea during pregnancy as well. Aside from that, ginger also adds a nice flavor to drinks and cooking. Are you ready to try your ginger tea? Take advantage of all the unique benefits listed above TODAY.